The AFC2P is the brainchild of seven enthusiasts who share the desire to promote this multi-generational and multi-faceted sport (with both physical and artistic demands) everywhere in France. We are convinced of it: 2 legged horses are going to become a feature of your cultural and sports association events, your family gatherings, your corporate events…very soon! 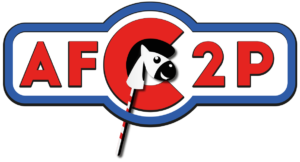 If you also believe strongly in the success of the 2 Legged Horse, if you wish to be part of a wonderful story which is yet to be written, if you want to become an ambassador of this new sport… join us! L’Association Française du Cheval à 2 Pattes a été créée en 2018, dans le but de promouvoir ce sport partout en France.